Housing & Development Board (HDB) scholar Hoo Xin Yu marries nature with the built environment in her role as a landscape architect. Ms Hoo, 31, has been working in landscape design for almost seven years. 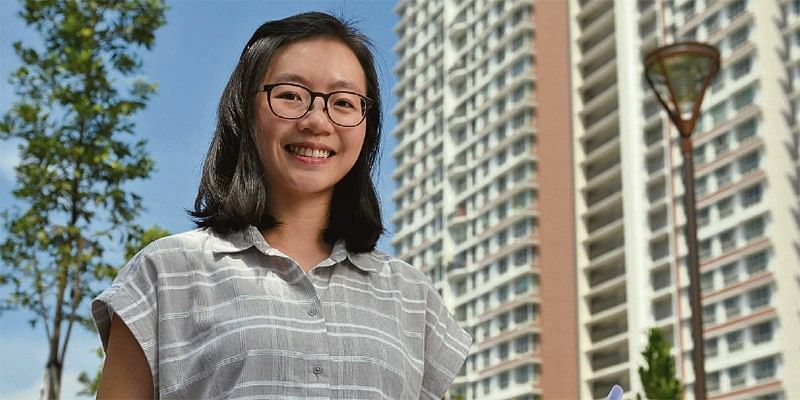 She had her career planned when she applied for the HDB Mid-Term Scholarship while she was an undergraduate at the National University of Singapore in 2009. The award funded the final year of her undergraduate studies and included a one-year master’s programme at the same university. 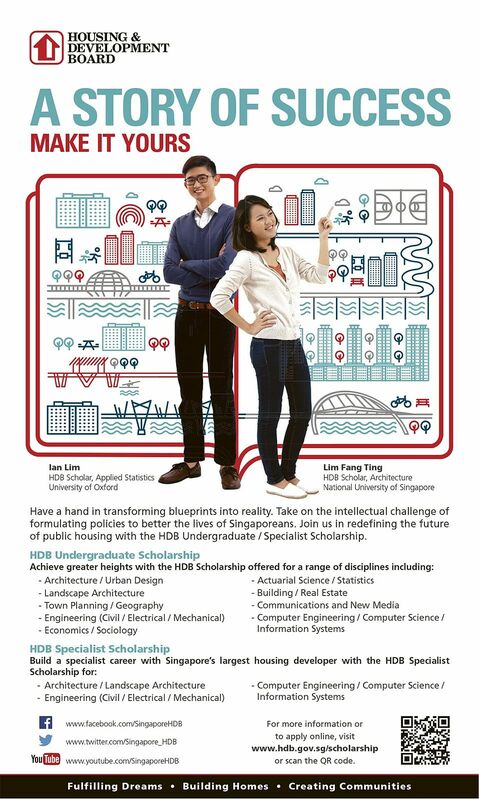 The HDB Mid-Term Scholarship covers tuition and other compulsory fees, as well as book, maintenance and hostel allowances. It also offers the opportunity for the recipient to be sponsored for an approved student exchange programme. The bond duration for local scholarships is commensurate with the length of one’s studies — a year’s bond for every year of study under the scholarship. In addition, HDB offers scholarships that allow awardees to study at overseas institutions. 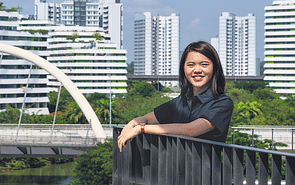 After completing her Bachelor of Arts in Architecture in 2010, Ms Hoo went on to attain a master’s degree in Landscape Architecture before joining HDB the following year. As a landscape architect with HDB’s Development & Procurement Group, Ms Hoo coordinates and manages the landscape design for new HDB developments, as well as the upgrading of older HDB projects. Her job requires her to work closely with design consultants, as well as HDB colleagues and Town Councils, who oversee related aspects of the development and take care of landscape maintenance respectively. Ms Hoo, a former member of a Chinese orchestra, aptly describes the function of landscape design as a source of harmony to the melody of architecture. Good architecture and a sensible building layout is the cornerstone of any project — nobody wants to live in an unsafe or poorly designed home — but landscape design is just as important. To date, Ms Hoo has coordinated the landscape design for more than 30 new development and upgrading projects, such as Skyline I & II @ Bukit Batok, a Build To Order project that was completed last year. One of the initial difficulties that Ms Hoo faced in her job was having to offer her opinion on landscape architecture designs when she lacked experience. “Even though I was a fresh graduate, I was tasked to be a landscape coordinator. This was challenging initially, as I had to review and comment on designs when I was seeing them for the first time,” she recalls. Ms Hoo did not remain a greenhorn for long, however. 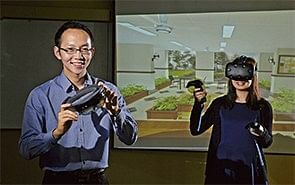 Apart from her natural green fingers — she has always liked plants — she beefed up her technical knowledge by studying other architecture projects. For instance, she travelled to China as part of a learning trip for young officers in August 2013. She visited Guangzhou Knowledge City and Tianjin Eco City to observe how new urban projects are being developed and better understand the challenges of these complex projects. Her colleagues and supervisors also provided valuable input and advice. “Occasionally, I go on site visits and project site inspections, which are great as I can see designs on paper being realised and assembled into beautiful spaces,” she says. In fact, Ms Hoo counts being among nature as the best part of her job. “Looking at greenery is uplifting as it is full of life — be it birds or butterflies flying around, flowers or fruits, or water coursing through the swales or rain gardens,” she adds.